In December two of the No First Night Out team, Christian and Emmanuel, gave a series of presentations at Barbican Library. Over the course of three mornings they were able to reach staff at all three of the main public lending libraries in the City (Artizan Street, Shoe Lane and Barbican).The presentations covered not only the work of the NFNO project, but gave context around the causes and consequences of homelessness and rough sleeping in London, and highlighted the City of London’s winter rough sleeping campaign. No First Night Out is delighted that City libraries have joined the NFNO Partnership Group. 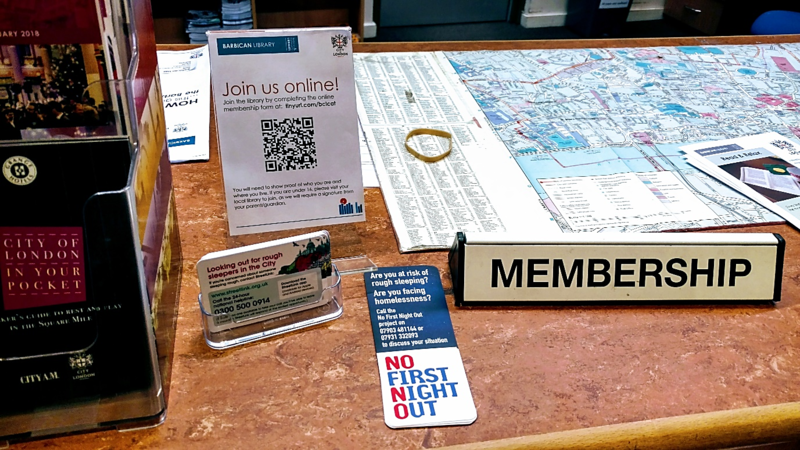 We know that libraries are an essential resource for people affected by homelessness, and we hope to have provided library staff with the tools to identify, support and refer people to No First Night Out and to services designed to help rough sleepers.